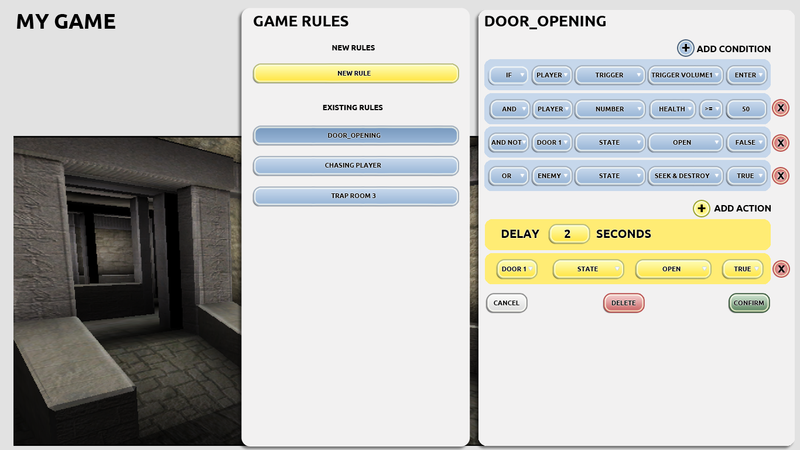 Missionmaker is a game-authoring software tool for making 3D videogames quickly with no specialist programming knowledge. 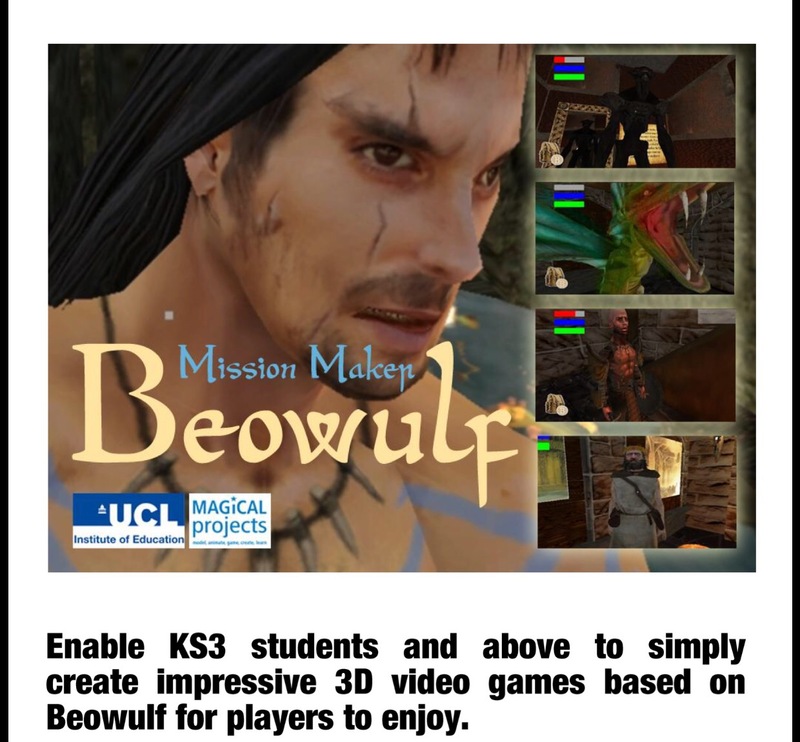 The current version was built in Unity during a research project funded by the Arts and Humanities Reseach Council to develop a new game- authoring tool for the Anglo-Saxon epic Beowulf. This collaboration between English, Media and Drama at the IOE with UCL Anglo-Saxon scholars, the British Library, the University of Sydney and Game City, Nottingham, explored how making game adaptations of literary texts can help students at all levels to understand and engage with literature in new ways. The new tool was developed during the project. It was used by groups in schools, workshops at Game City, Nottingham, drama students in Sydney, and UCL Anglo-Saxon students to make a variety of games. Here’s a videocapture of a sample game using the current version of the software, about to be released for sale (Winter 2017). And here’s a video capture of one made by two UCL students, in which the player takes the role of Grendel. It’s using an earlier prototype of the software. The new tool is undergoing the final stages of development. Please contact me for further information, free trials, pricing, and research proposals. Missionmaker is owned and developed by MAGiCAL projects at UCL Institute of Education. It is marketed by Creative Edutech. Missionmaker was developed originally in a project directed by David Buckingham and myself, with project researcher Caroline Pelletier and Immersive Education Ltd, a software company in Oxford. The project was funded by the PACCIT-Link programme: the programme evaluation, including a section on the Making Games project, can be found here. The tool was designed to develop aspects of media education conceived of as forms of literacy: an understanding of game design through playing games, but also making them. This shift to an emphasis on the production of media texts was already growing in media education, but while it was easy enough to see how making films, radio programmes, newspapers and websites might work in the classroom, making games was more challenging, and had previously either depended on a grasp of programming, or on the use of game-making entertainment packages which offered little insight into how conditionality and procedural narratives were designed. During and after the project, I found many occasions to work on game-design projects, especially with my colleague James Durran, formerly an Advanced Skills Teacher at Parkside Community College in Cambridge, now English Adviser for North Yorkshire. These projects included game design with a class, making a game based on Shakespeare’s The Tempest, and Playing Shakespeare, a collaborative project with Shakespeare’s Globe to develop a version of Missionmaker for young people to make games of Macbeth. The Arts and Humanities Research council funded this project under its Digital Transformations programme: their case study of it can be found here. 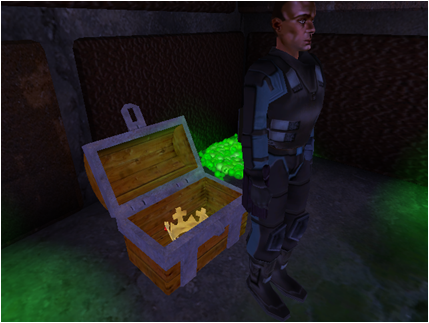 The image below is a screengrab from a game level designed by two 13-year-old boys, called The Sewers of Lady Macbeth’s mind, in which the subterranean game-spaces become a psychological metaphor for the character. The impact of the project and its legacy has been unusually extensive for an academic research project. Missionmaker was developed to commercial production by Immersive, and sold well in the UK, and was subsequently used in many classrooms, colleges and other learning sites. It has also been used in Australia, New Zealand, and several European countries. I have given keynote addresses about it in many countries also, developing the idea of game-literacy, and of game-authoring as a subset of the media arts in education. Articles and book chapters arising from this work can be found on the Games page on this site. My own faculty, the UCL Institute of Education, used the project as an impact case study, submitted to the 2014 Research Evaluation Exercise. An early version of the case study, which documents the extensive afterlife of Missionmaker, can be found here. The new Beowulf tool will add another chapter to this legacy. It is being considered for a second impact case study for the next REF. Anyone who would like to discuss collaboration over Missionmaker and games-authoring is welcome to contact me for further discussion. Here’s one made by Classroom Multimedia, showing how to create a character and make it speak. And here’s a very amusing one showing how to create trigger volumes – delivered by a talking cat! It was made by CMe Creative Media Studio, the student media production team at SKH Lam Woo Memorial secondary school in Hong Kong.